Even if you don't have a lunch to pack, these cute printable love notes from Eighteen25 might still come in handy. 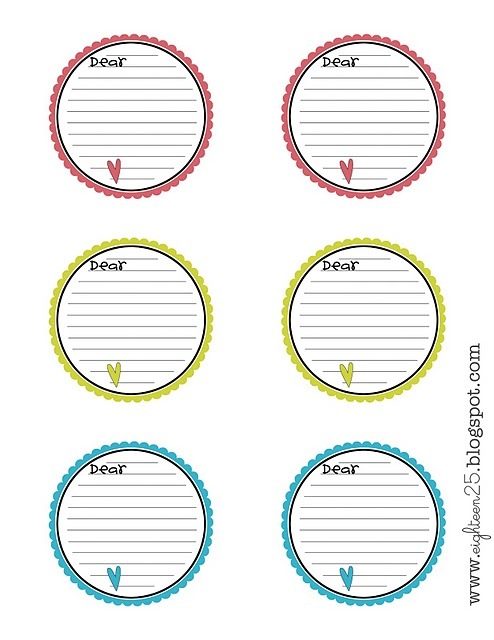 Cute scalloped circles in fun colors, what's not to love? You can download a set for free HERE. THANK YOU! so much for posting these. I was looking for some new ones for the upcoming year- which starts monday!